The Nigerian case for class has a long way of affecting cost of building generally, especially Lagos.The location of a building inadvently contributes a lot through the high/low cost of building. What happens in our urban areas is class segregation, a case whereby you were once poor and fits for the slums and outskirts or other areas that are less prime, and suddenly your economic purse changes, the first thing that happens through an average Nigerian is to relocate e.t.c. Why? because he believes that is where his class is, the only place fit for his children’s education, his business e.t.c. But people fail to realise that you can connect into anybody and make friend more easily in today’s ICT age without relocating.There is the general belief that when you move among the high and mighty yourself, you get more connected into where money is, and the probability of getting contracts is there. So you will end up spending more money and you won’t get the land cheap either.Hence you see when a place is designated as Government Reserved Area, what usually happens is the influx of the rich and this turns even a terrible and non-developed land atimes into prime lands overnight just because of class and oppressive nature of the rich. The building artesans/workers ends up charging more when you are building in those area because of the influx of moneybags. (2) Type or Nature of Soil. Soil types, strong, mild or very strong generally affects the overall costs of the building. soils are classified under five main headings.This is where a lot of people get it wrong and shoot themselves on the foot when planning on thier building projects. 1) Rocks, which include igneous rocks, limestones and sandstones. 2) Cohesive soils, such as clays where the constituent particles are closely integrated and stick together. 3) Non-cohesive soils, such as gravels and sands, whose strength is largely dependent on the grading and closeness of the particles. 4) Peat which is decayed vegetable matter of low strength with a high moisture and acidic content. 5) Dump site or made ground which may contain waste of one kind or another and can cause settlement or stability problem. Dump site is the worst place through use because you will need into remove the debris, else your foundaion will do affected and this will cost you more.When building your house the nature of soil on your site will go a long way in affecting your purse. Find out if the land is the worthy loadbearing type and you will cut cost. People digging your foundation will not need to dig so deep, and foundation concrete and reinforcements you will also use will be minimal in comparison to weaker soils. The stronger your type of soil the lesser the amount of money you will spend. The topography or level of your land also is very important for you through spend less, in a case where one portion of your site is very low into the other, surely this will take you more money to manage in terms of either block or split-level constructions. Make sure you get into the exact portion of the land you are being proposed to, because if you by oversight or carelessness buy a damp site, you will need to effectively drain the water to increase the stability of the ground, to avoid surface flooding, and to avoid dampness of the surface of the inner walls and basements, and also to remove humidity in the immediate vicinity of the building. I have fallen to a mistake like this before so I know what it may cost you if you live same. But you will regret unless you are so rich, I have seen a first hand experience on this, that is why when buying a land is better you buy in the rainning season into give you the opportunity of accessing the site in question. A client once bought a land so cheap but in a very low area, which makes his land a runway for water drainage, you need to witness it when rain is falling, yourself, then you might appreciate what I am talking about, strong water currents mind you can overturn a house. Lastly, you may have to fill the land and spend more money, though when you were buying the land in question you paid so less and you were given the impression, that you won’t spend more. A waterlogged ground will also require reinforcement or iron and concrete which ordinary bungalow in a strong and clear area will not need. The human and vehicular access just as explained above can be of great benefit and the influx of people to places like that can also leads to high cost of construction. High taste demands high cost, your class or status may most likely reflects on the kind of building you want, the type of electrical fittings you want in your house to cater for your utilities, air-conditioner, e.t.c your plumbing fittings to cater for jacuzzi, spas, bathtub, swimming pool e.t.c and other fittings for your comfort and convinience may cause your building cost to rise. The type of building entails either it is a simple 2,3 or 4 bedroom bungalow or it has to be a duplex/mansionnete. 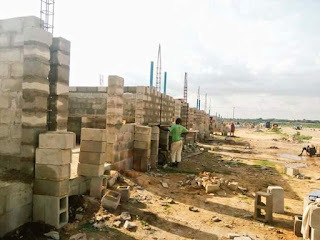 Generally, it costs more to build storey buildings because of the cost of completing concrete floors to just acquiring more lands and building on them for the same numbers of room. In terms of size the rooms size, the kitchen and other purpose area sizes may even make an ordinary 2 bedroom flat for you to be costlier than another man’s 4 bedroom flat. Then talk of additional utility rooms like study, game rooms, prayer room, extra living e.t.c. There are cases of “Omo Onile” trying to outstretch the buyer even when you have paid them their illegal entitlements. Some can go as high as making you repurchase your land again altogether. 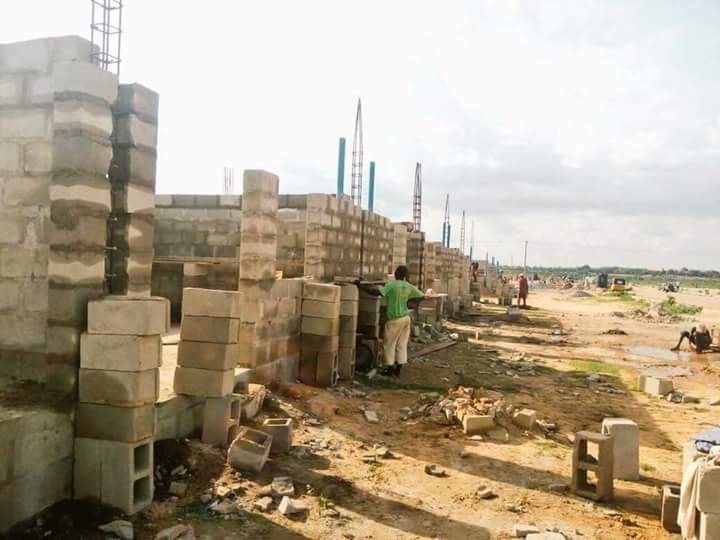 What of the selling of Government acquired Lands to unsuspecting buyers, this is very, very common in Lagos, God saves you if the Government wakes up one day and decides to ask for their land, you will count yourself lucky if they only ask you to pay or repurchase the land. What if they ask you to evacuate altogether and your building completely bulldozed. Educational, Health and Religious institutions dots our landscape but what most don’t realize is that they invariably raises the cost of getting lands in their localities, because of influx of people going in and out of these various institutions, commercial activities are always affected positively, thereby bringing business opportunities to those in the locality. An obvious example is Canaanland Ota in Ogun State. You can see the visible increase of properties in this once a forest suddenly turned to haven of investors, and buildings of all manners springing out. after parking in,the quality of the design that an architect could have easily given to you cheaply ,what of the structural disposition of the building that a civil or structural engineer could have given you for extra peanuts or a quantity surveyor that will cost your building and knows if you are heading for the rock ,or the builder that would have made sure your drawing plans is properly represented or executed and standards are not compromised .Get a professional in the field and let him recommend an artesan –bricklayer carpenter e.t.c to you or you get one by yourself or one that was recommanded for you .you then must make sure you check his old jobs and confirm that it is good’or tell your professional to follow you and access the persons past job, he should be able to point to one. building materials also contribute immensely to the quality and cost of house immensely ;from what you used in foundation to the materials of roofing ;there is always an array of prices . Even cement bags are of different prices ;What of the blocks ;they also depends on quality; some can sell theirs #10 to#20 difference from others because of the rich cement mixture ratio and the type of sound, while others could just double the price of lower quality ones. For example “BECO BLOCKS” price is usually double the common ones around in Lagos. I guess you know even in roof there are categories also from the ordinary asbestors roof to the modern aluminium the prices always varies. there are different types of finishing which also raises an issue of taste and money to be spent .Even painting atimes can cost more than what is required to buy major materials in another persons building. With the advent of more technological breakthrough in building accessories, where you can now have bullet proof doors and windows with metal detectors, with furniture companies coming out each day with new innovations, there is bound to take into serious considerations the cost of finishes in overall costing of your house. The beauty atimes goes along with the complexity of a design, this you may not know affects the cost of building a lot, especially when the walls of building are not aligning and the roof are also complex this may raise the overall cost of the building. When a building is taking long time to complete, there is the tendency of spending more at the long run. Consider materials that would have gotten spoilt due to long delay of use on site, what about woods that are left for rain to be beaten, cement that have gone bad, there may be need for some replacements on site anytime you go back to continue after a long lay off. Unstable economic conditions and rise in fuel products also affects building indirectly by multiplier effects. Remember vehicles that uses fuel are needed to bring materials to site. When the place is close to a police station or is noted to be generally very secured, houses in this area will always go high up.